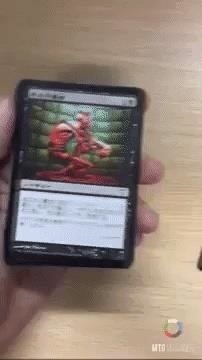 While augmented reality experiences can already appear to be magical, particularly to the uninitiated, one developer is doubling down on its mystical potential for the ever-popular Magic: The Gathering card game. 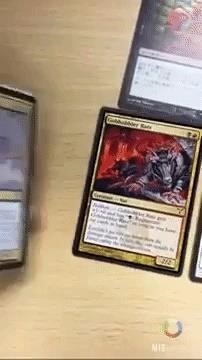 Available now in the App Store and Play Store, MTG Manager helps players manage their card inventory through scanning cards and returning information such as prices and game statistics. 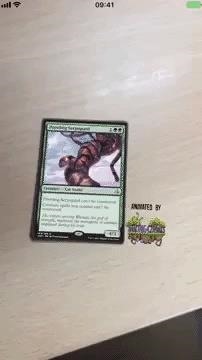 The app's developer, BigAR, is working on augmented reality enhancements that would bring the cards to life with fantastic animations. In more practical terms, the app could also act as a real-time translator for cards and display other information about the cards within the camera view. Alas, the Harry Potter-like effects are not available in the app yet but are among the tricks up the developer's sleeve for future updates. The company also makes similar apps for Pokémon, Yu-Gi-Oh!, and other card games, so updating its suite with augmented reality experiences is likely to keep it busy for a while. What appears to be the work of gypsies is actually a clever use of image recognition. The functionality is now available to mobile developers through ARKit and ARCore, as well as Facebook's camera and third-party platforms. 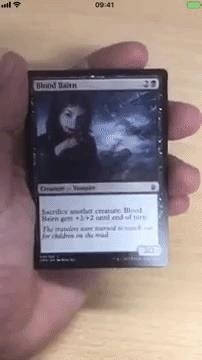 With wide proliferation of image recognition tools, all card games, posters, comic books, and other two-dimensional media can become 3D illusions.